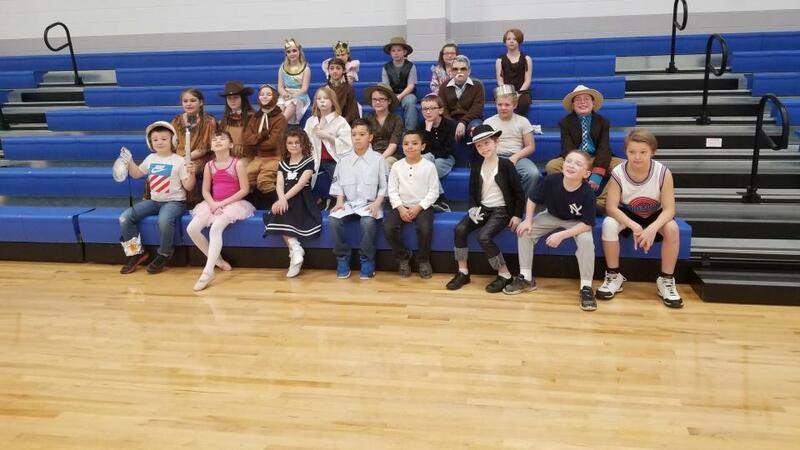 Greenfield Elementary was sprinkled with historical figures such as Shirley Temple, Amelia Earhart, Neil Armstrong, and even the Queen of England herself as our third grade students presented their biography research projects dressed as their research subjects. This project-based learning opportunity offered high-interest reading with a purpose, inquiry and research, informational organization, writing skills, as well as public speaking practice. Greenfield Elementary was quite the buzz with so many celebrities walking through our halls on Biography Day! The students did an excellent job and were happy to celebrate the completion of their project with a nacho party!